Last week the Regional Plan Association (RPA) released a report proposing the creation of a 1,650-mile trail system linking Manhattan to the outer boroughs and tri-state area. The report, Accessing Nature, is part of RPA's Fourth Regional Plan, which is slated for release later this fall. If the entire plan came to fruition, New York, New Jersey, and Connecticut residents would be able to hike and bike a combined distance equal to that between New York and Colorado. The plan links new trails to existing ones and puts over 80 percent of the region's residents within two miles of a trail while unifying the tri-state area's existing natural resources into a contiguous network. By connecting regional rail lines to trail networks, knitting together 141 parks, and transforming underused energy corridors (like power line route) into pathways, RPA hopes to encourage outdoor recreation and economic growth in adjacent communities. The plan targets almost 300 municipalities that would become "trail towns" connected to a whole system. RPA hopes that the developing infrastructure could support tourism and hospitality industries in smaller locales. Equitable access to trail systems and outdoor resources has also been proven to promote physical and mental health, creating opportunity for nearby residents to be active. Partnerships with local stewards and organizations will be integral to realizing the plan. At its Urban Core scale, the proposal includes 111 miles of trails within New York City limits alone, including an entire ring around the city harbor linking Jersey City to Staten Island to Brooklyn, then up along Lower Manhattan. A north-bound trail running directly up Broadway (aiming for the eventual total pedestrianization of the street) would connect Upper Manhattan to the waterfronts in Queens and the Bronx—part of which would only be possible if Rikers Island was closed and consolidated. The proposed trailways in New Jersey come out to a 417-mile system, still largely incomplete. The trail system would extend westward from New York down the Morris Canal into Lehigh Valley, wrap around the D&R Canal, and branch out to cover the entire length of Jersey Shore at the high-water mark. At almost 600 miles, the Mid-Hudson circuit is the largest part of the plan, but also the section with the most existing trail infrastructure. Large swaths of this connector provide sweeping views of the Hudson Valley, connecting existing pathways all the way up to Albany. Ideally, this would create a direct route for New York City residents to upper valley trails (and westward to the Erie Canal), as well as bridging directly into the Appalachian Trail. The Connecticut extension, at 170 miles, rounds up a 1994 RPA proposal for a greenway along Merritt Parkway and the East Coast Greenway, stringing together near-coastal cities of the Long Island Sound to inner-state agricultural landscapes and smaller towns (the Parkway, which is gorgeous, was listed on the National Register of Historic Places in 1991). Another connector links the East Coast Greenway to the Appalachian Trail to the north. The proposal for Long Island stretches out at 318 miles, repurposing the former Long Island Motor Parkway as a trail spanning the entire length of the island from the New York Harbor to Montauk. Coastal trails bridge out to the Long Island Greenbelt on the Sound side and to the Long Island Seashore Trail on the coastal side from Jones Beach to Fire Island. The RPA and its partners are currently moving forward on fundraising and implementation, which will require a long-term commitment to trail maintenance – no small task for such an extensive system. A team of New Jersey– and Berlin-based designers is turning a hulking infrastructure relic in Jersey City into a catwalk-laced park that could serve as a model of community redevelopment. More than a century ago, the Erie Railroad sliced a four-track-wide cut through the Palisades mountain range. The resulting Bergen Arches linked to the railroad's Manhattan-bound main line along the banks of the Hudson, but when the railroad ceased operations in 1959, the arches were overtaken by forest and slowly forgotten. Now, placemaking organization Green Villain is working with Berlin-based So + So Studio to reimagine the arches as sites of recreation. The impetus was Jersey City's dizzying evolution from postindustrial New York City–adjacent afterthought to hip bedroom community that attracts artists priced out of New York, as well as finance types and regular people seeking urban life at a lower cost. In their project statement, the team hopes to spark conversation on land conservation in urban areas and provide recreation opportunities for Jersey City (JC) residents. “As our post-industrial city continues to amass mid to high-rise towers, it is imperative that we look down as much as we look up for the answers about individuality and place. The stick and steel will allow the residents to live here, Restaurant Row to eat here, but without Jersey City-centric projects that allow us to compete on the global stage we will always be haunted by the specter of placelessness. The Bergen Arches project is the answer. Help us to reclaim and revitalize these spaces that bear such history and call for a creative future for Jersey City.” Green Villain, with offices in JC, Denver, and Berlin, is a hybrid organization that specializes in mural-making, JC real estate development, event production, and creating consulting in partnership with SMBs, developers, and brands to place-make through music, technology, and art. Jersey Digs spoke with Green Villian's Bill Benzon, as well as So + So Studio's Kevin Driscoll and Rion Philbin, who outlined the site's distinctive features, the importance of railroads in JC's development, and the site's potential for transformation. 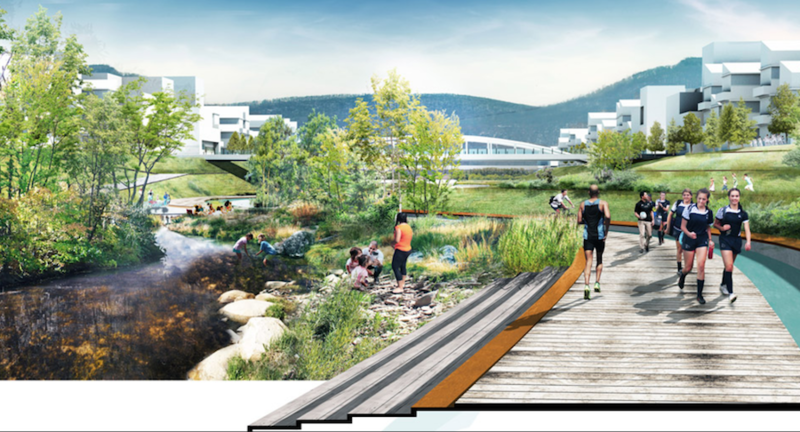 The project's first goal is to connect neighborhoods with two new cuts, including one that would allow people to access the Bergen Arches on elevated walkways that then descend up to 60 feet, revealing the site's rich topology. Public art will augment the program to "boost Jersey City’s overall cultural reputation.” Train your eyes on the Bergen Arches website and Instagram to pick up more information on this developing project. In just the past half decade, rails-to-trails conversions have blossomed en masse. New York City has its High Line (and will eventually have a Low Line), while Chicago now has The 606. Atlanta’s BeltLine is under construction with an expected completion by 2030. 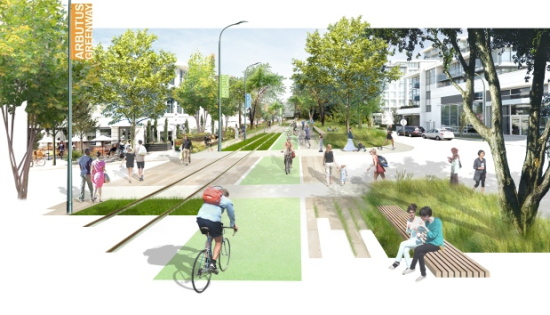 It seems that every city wants a rails to trails project, and now Vancouver has taken concrete steps toward joining that club. Earlier this March, the City of Vancouver made a deal with Canadian Pacific Railway (CP) to convert an old railway into a walking and biking greenway. The city will pay $C55 million (about $U.S.40 million) for the just over 5.5 mile corridor that would start near False Creek (in the heart of the city), run south to Marpole (at the city's edge), and continue further to the west of Highway 99. “CP Rail has owned the land for more than a century, but it hasn't run trains on it for about 15 years. Vancouver had previously offered to buy the land, but the two sides could never agree on a price,” reported CBC News in Canada. 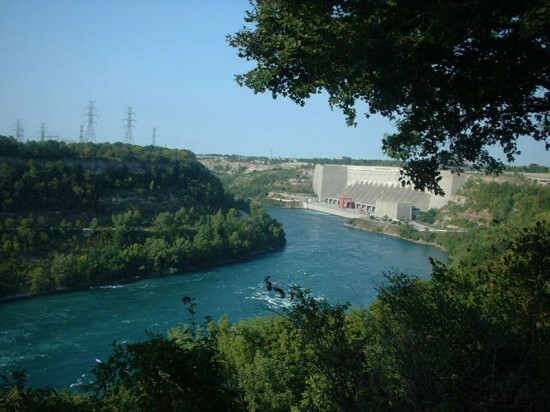 “At one point, CP argued that the land was worth $[C]400 million, a figure the city disputed.” The dispute between the city and CP made its way to the Supreme Court of Canada in 2006, which gave the city the right to develop the land. But it also effectively railbanked the Arbutus corridor, which will allow CP to carry light rail next to the future walking and biking path. The proposed greenway development is expected to cost up to $35 million. The first rail trail in the U.S.—the Wisconsin Elroy-Sparta State Trail—opened in 1967. The Rails-to-Trails Conservancy, a Washington, D.C. based nonprofit, is trying to create trail systems within 3 miles of 90% of Americans by 2020. To learn more, here is a searchable database and interactive map of U.S. rails-to-trails. 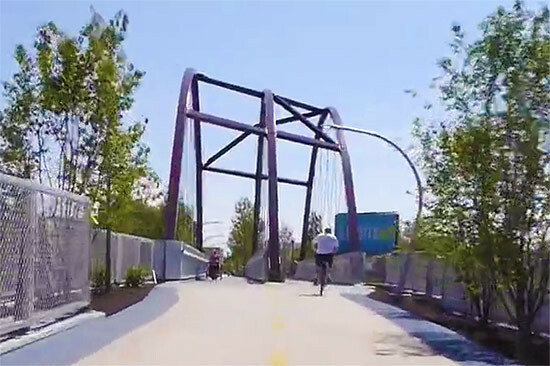 A video released last week gives Clevelanders the clearest picture yet of plans for a greenway beside the Greater Cleveland Regional Transit Authority's Red Line. 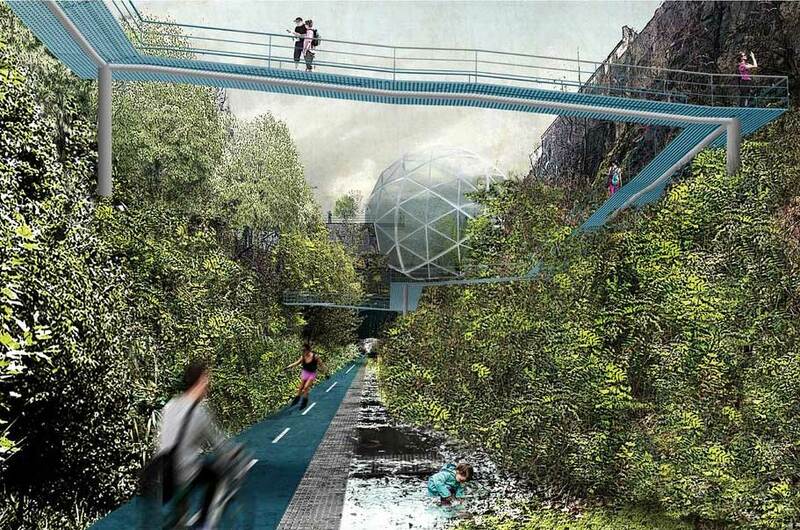 The idea has drawn comparisons to New York’s High Line or Chicago’s Bloomingdale Trail (aka The 606). 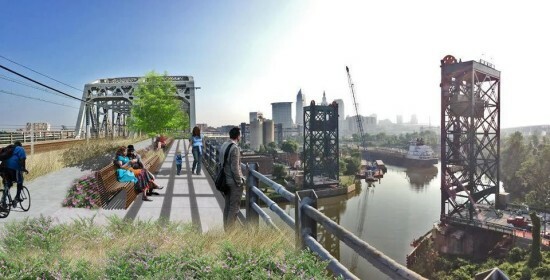 The Rotary Club of Cleveland on Wednesday revealed their plans for the Red Line Greenway, a 3-mile linear park that would run from the Zone Recreation Center at West 65th Street to downtown Cleveland using a right-of-way next to the RTA's Red Line. At a meeting last week, Rotary member sought public input on the $13 million project, over which they've signed a memorandum of understanding with Cleveland Metroparks and RTA. A fundraising campaign is forthcoming, said supporters including the Rotary's Leonard Stover. The federal government has provided the three-phase project a $2 million grant—a little less than half the cost of the first leg, an extension from the RTA viaduct west to West 41st Street. Construction would not begin before 2019, Stover told Steven Litt of the Cleveland Plain Dealer. Litt has the Rotary's full presentation on the newspaper's website. According to Palo Alto Weekly, Stanford University will soon break ground on a new series of bike and walking trails around its campus designed by Page/BMS Design Group. 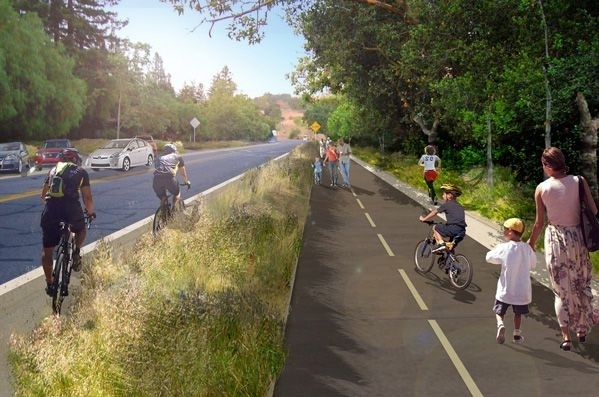 The 3.4-mile "Perimeter Trail" will stretch along sections of El Camino Real, Junipero Serra Boulevard, and Stanford Avenue, providing new connections to local parks, schools, existing trails, and the nearby foothills. The project, being implemented by both Stanford and the city of Palo Alto, is being funded by a $4.5-million allocation from Santa Clara County. The scheme will both introduce new bike and walking paths (including green bike lanes in heavy traffic areas) and upgrade existing trails, sidewalks, and landscaping. According to Stanford, most of the trail is expected to be complete by this fall.